I'm very blessed that the area where I worked has many stalls that sells bargains. And take note it changes every week so I get to check lots of bargain variations but my pocket seems to contests to it. Hahaha! Anyway, I'm going to share with you an item I bought on bargain when Etude House setup a stall on Raffles Exchange. 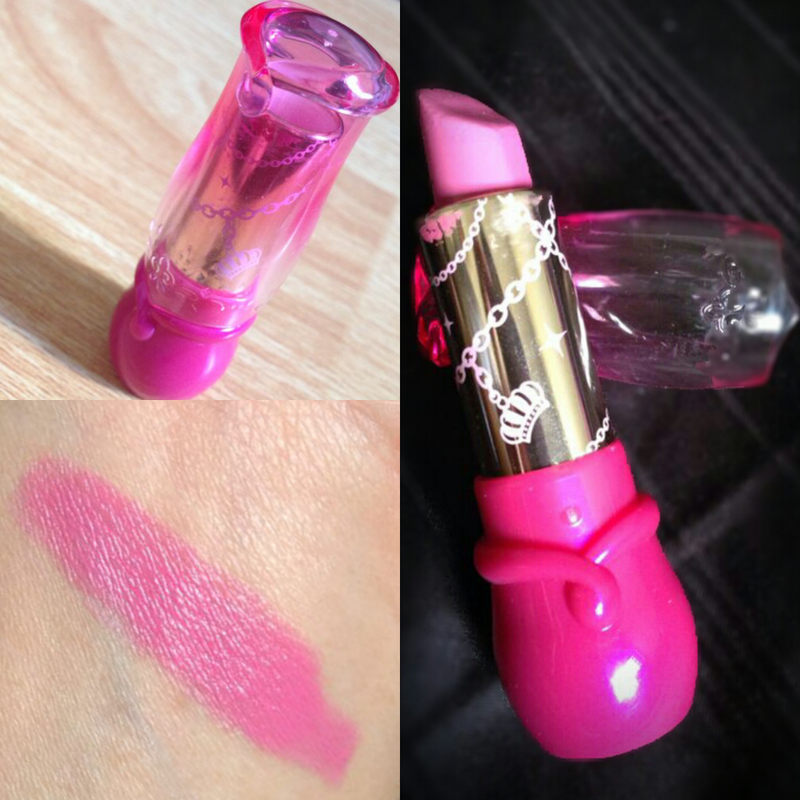 It's a lipstick called Etude House VIP Girl Dear Darling Lips in PK009. I love Etude House stores because of it's girly girly design which would totally catch a girl's attention. VIP Girl Dear Darling lipstick is very creamy with a full color payoff. The finish has a bit gloss to it. So it's okay to snob your lip gloss for a while, yeah? It has a slick feel to it too which is why it doesn't last long. 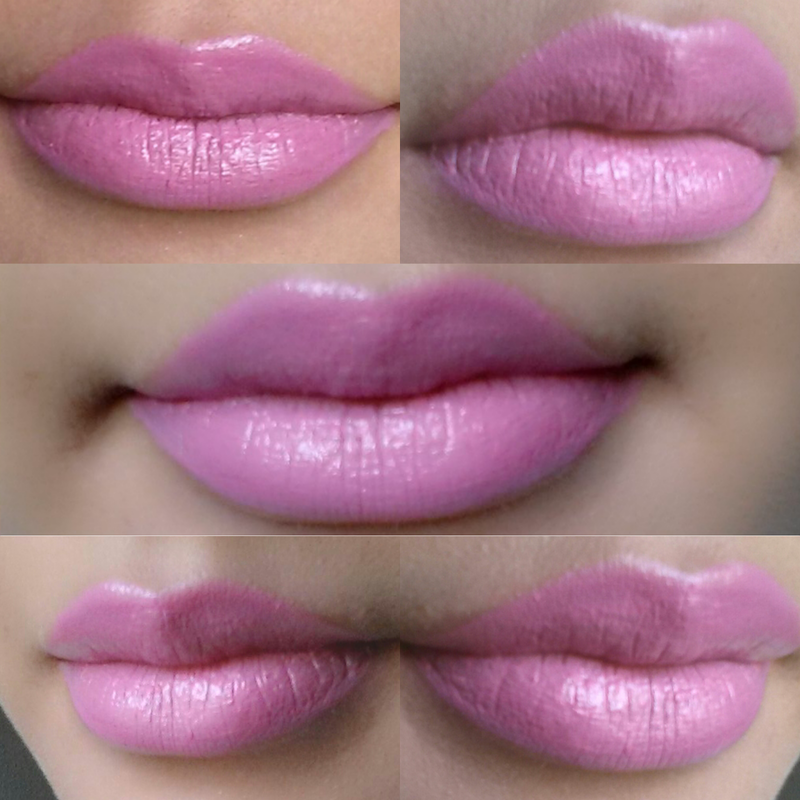 Bottom left from the photo above is a swatch of VIP Girl's PK009. Lovely packaging. I love the pink girly girly packaging it has. Has a bit of gloss to it. No need to apply lip gloss on it. Affordable. If I could remember it right I bought it around $5-10 SGD. Makes lips flaky. It's important to do a lip scrub so that it won't be very obvious. Doesn't last long. It only takes 1-2 hours. But after an hour it's boldness and richness starts to fade off. I find this drying even though it applies smoothly. This color strongly reminds me of barbie's lipstick, would you agree with me? I'm not really a fan of bold lipsticks but I personally think it's good to keep a few colors in my collection. To be honest, I personally don't like this lipstick. I don't like that it flakes the skin of my lips and that it doesn't apply evenly. I won't be buying this again. Sorry it's thumbs down for me.